Auschwitz main camp house different exhibitions including war history, explanation about the extermination, evidences of crime, collection of personal belongings and photos of prisoners. Living- and sanitary conditions are also shown. 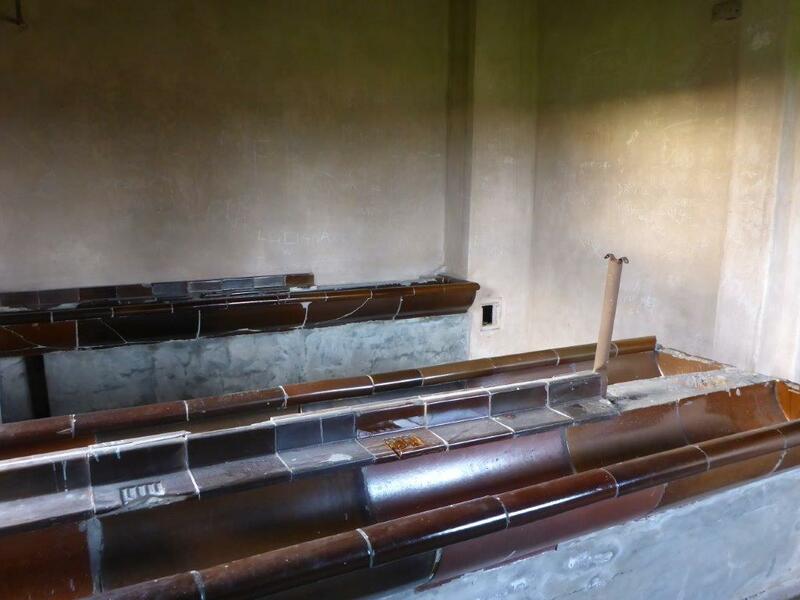 Moreover, there are several places of special interest, such as the Death Wall and gas chamber and crematorium 1. In addition, there are national exhibitions going in depth of the fate of the prisoners from different countries. 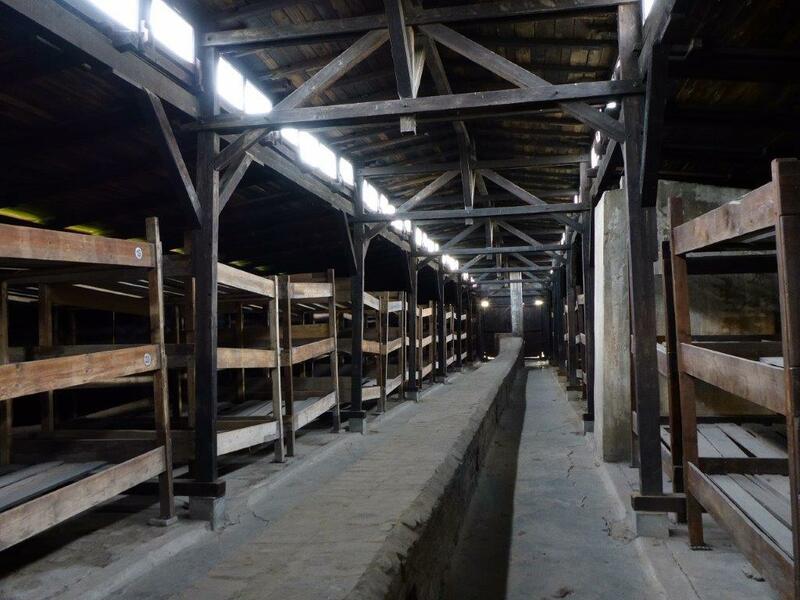 Auschwitz II – Birkenau, show the living conditions of the prisoners in original barracks, as well as the railroad tracks leading directly into the camp, stopping by the unloading ramp. When I visited Auschwitz and Birkenau 13 years ago, it was as a part of a school trip. The previous years, classes had went on this trip during spring, but the teachers had now decided they wanted to go in winter instead as the site looked quite idyllic when the trees were blooming. I totally get there point! 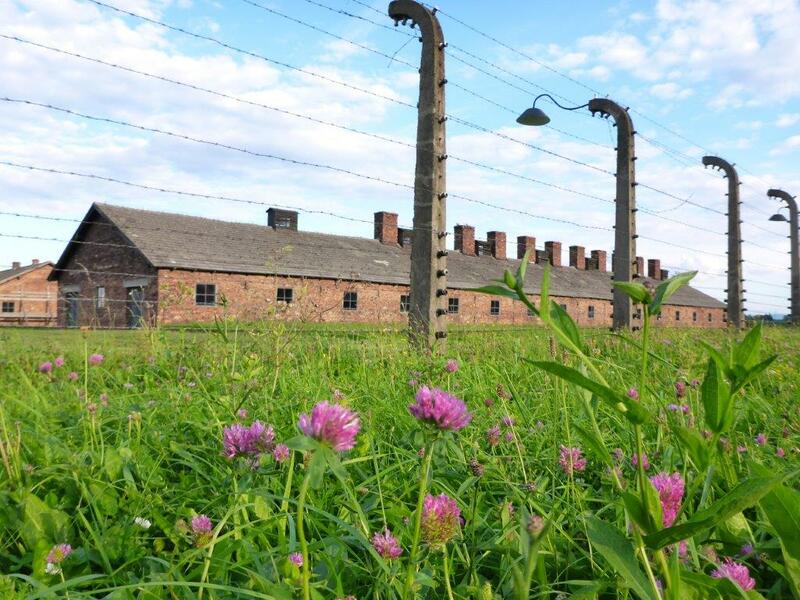 The trees along the path between the houses in Auschwitz were bursting with green leafs, and the grass among the barracks in Birkenau were packed with colourful flowers. Don’t get me wrong, it is hard enough to imagine the cruelty that found place in the concentration camps anyway, but the more idyllic scenery does not help. I was actually surprised that the entrance to the area was free, but at the same time I am very glad, so that all that want do visit can do that. The only thing you have to pay for is if you want to have a guide. Since both of us had been here before, we decided to walk around by ourselves. On my previous visit, a time witness that had been a prisoner in a concentration camp accompanied us. The stories of Eskild Jensen made such a big impression that I could still remember details from the stories he told us 13 years ago. He was imprisoned in Sachsenhausen that we also visited back then. It was obviously a totally different experience now, but at the same time it was also good to be able to take some more time to soak in the impressions. However, I think it could be useful to get the small guide book that give the brief description what the different barracks exhibit to be able to select what to focus on. 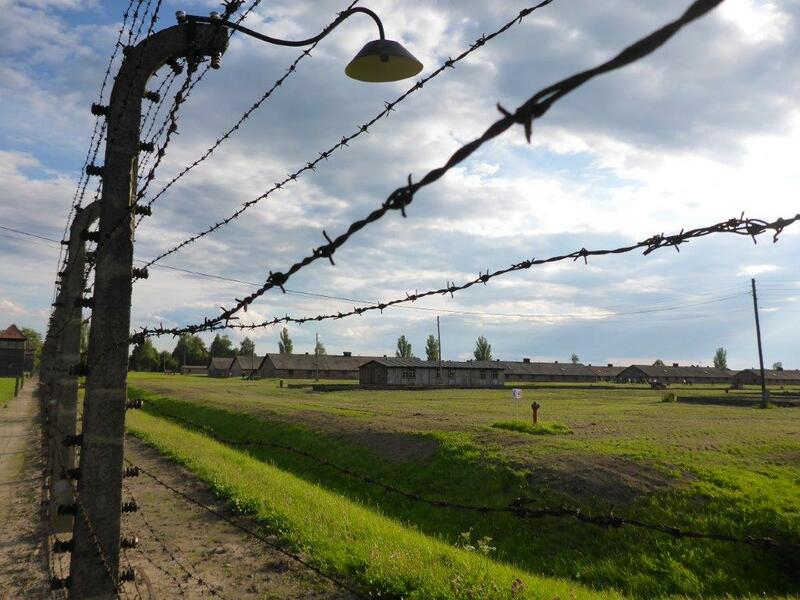 Auschwitz was established I 1940 for Polish political prisoners, but it did not take long before the Nazis deported people from all over Europe. They were mainly Jews, or others the Nazis considered less worthy as humans. The choice of location was not by coincidence. Located just far enough outside the town Oswiecim for the inhabitants there not to intervene, and also being close to an important railway junction. 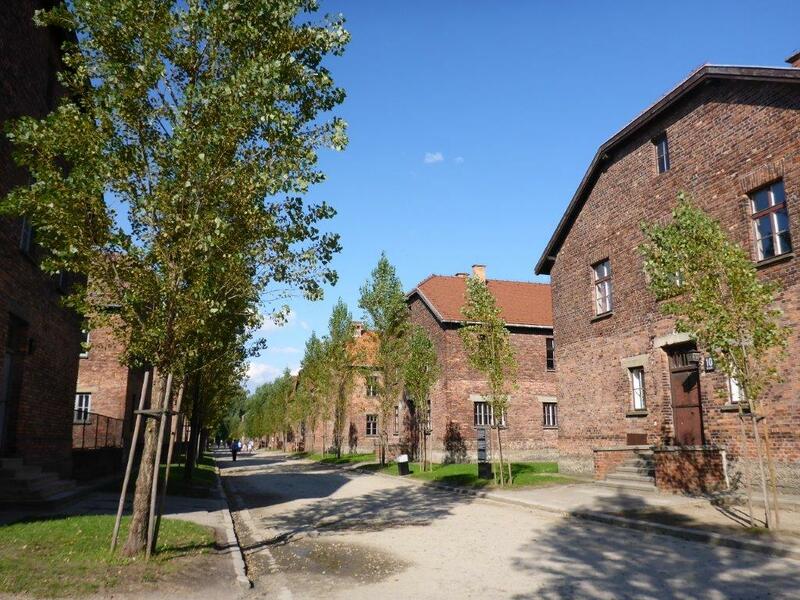 Auschwitz originally counted 20 buildings, but as the number of inmates continued to rise, they first built an additional floor, before they had to build eight new buildings. All this was done by the prisoners. 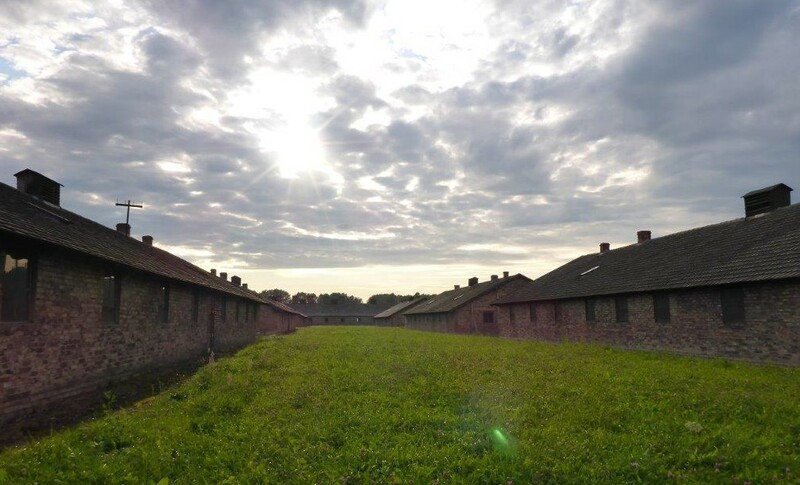 In 1941 they constructed a second camp, called Auschwitz II – Birkenau. One of the first things you notice when entering the area, is the barbed wire fences. 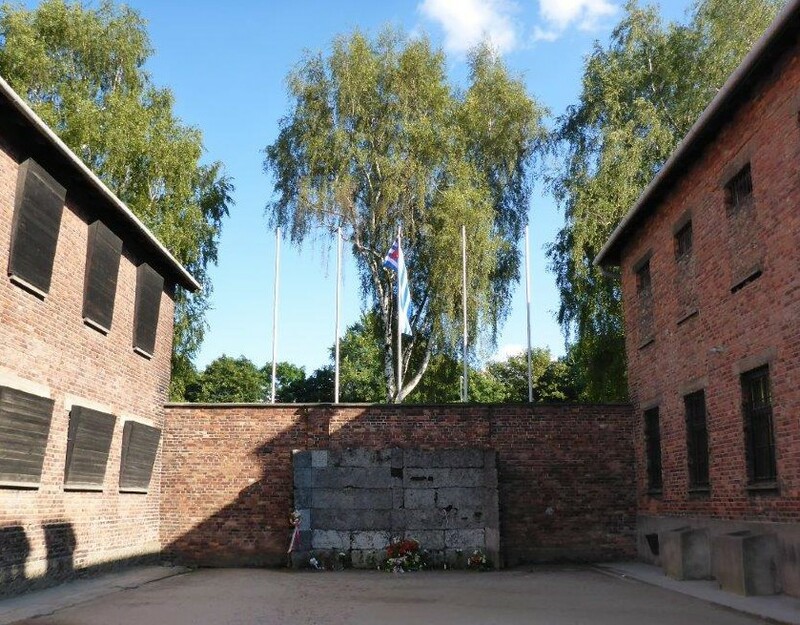 Above the main gate at Auschwitz you see the inscription “Arbeit facht frei” (Work brings freedom). The prisoners would pass this gate every day on their way to work, with an orchestra playing to make them march so the SS could more easily count them. 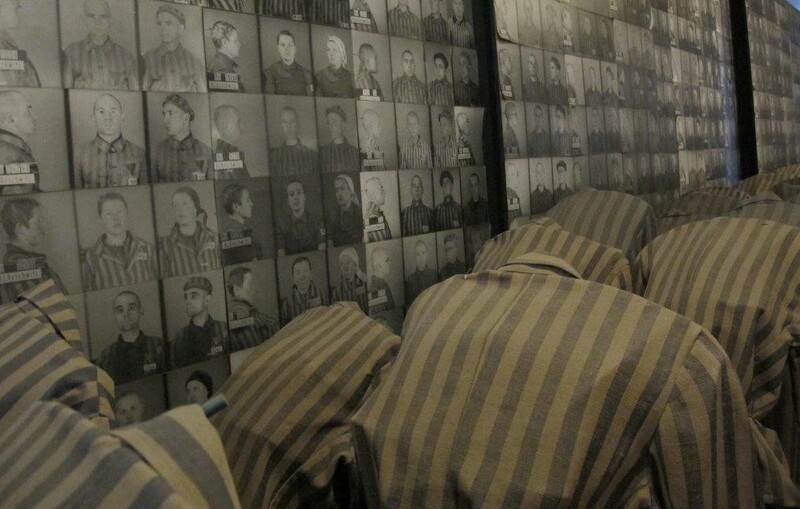 From 1942 Auschwitz became the largest center for mass extermination of European Jews. 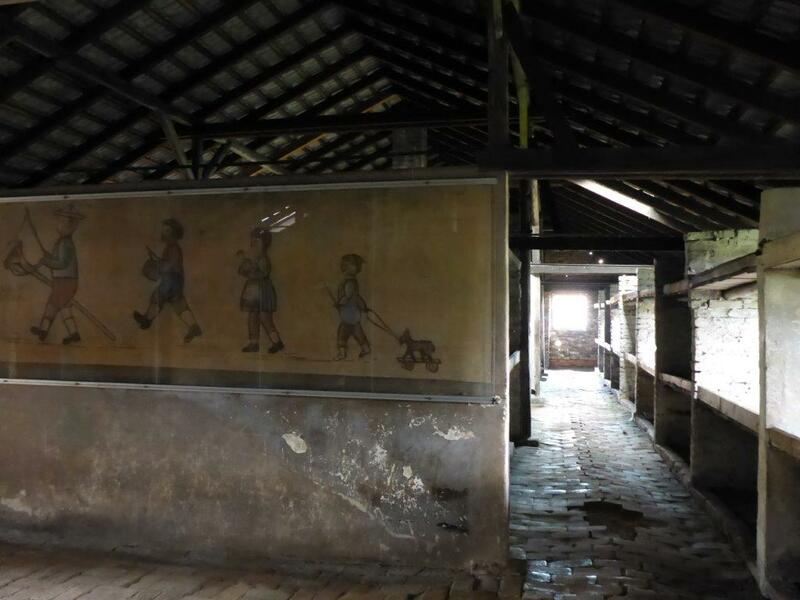 The majority of the Jews deported here were killed in gas chambers immediately after arrival. As many of these were never registered, it is hard to know exactly how many persons were murdered here, but it is believed to be 1,5 million victims! 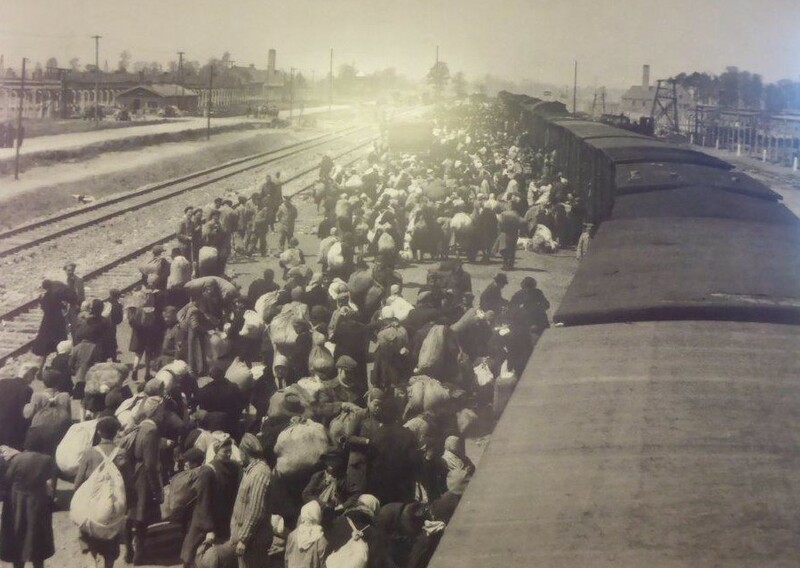 Most Jews coming to Auschwitz and Birkenau were convinced that they had been deported for resettlement. This also made them bring their most valuable belongings. Once unloaded from the trains, a physician from SS examined the new arrivals, determining who was capable for work, and who would be sent strait to death in the gas chambers. They did off course not know that this was their destiny, as they were told they would have a shower. The large bathroom was indeed filled with lots of showers, but they were never even connected with water. After locking and securing the doors, the chamber were filled with Cyclon B gas, killing the ones trapped inside. Their possessions were removed, including jewelries and gold fillings in their teeth. 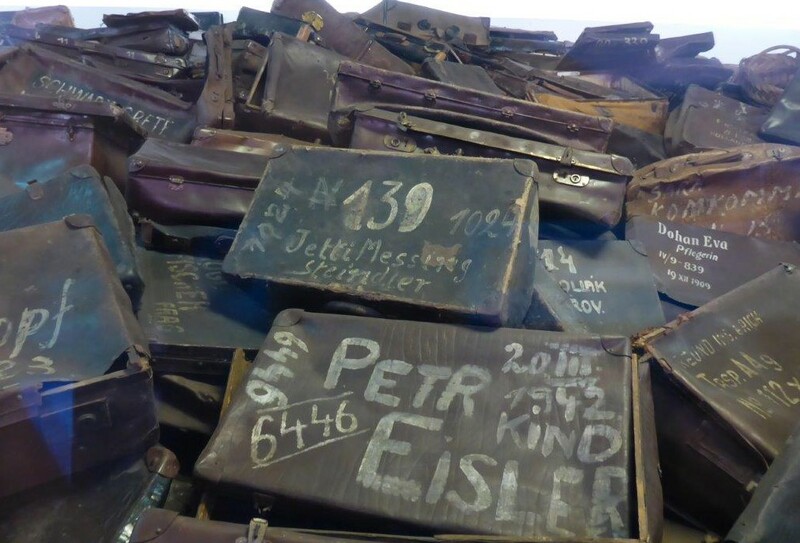 One of the things making most impression, are the rooms filled with the victims belongings. 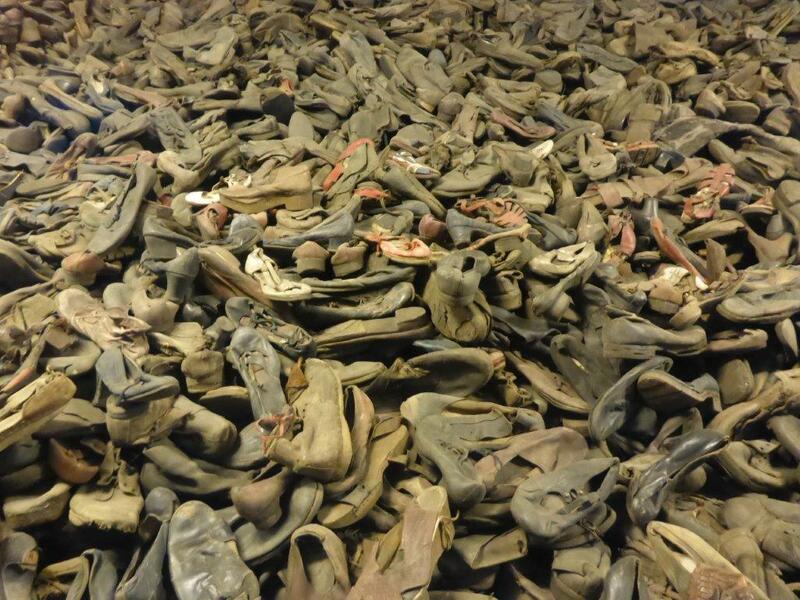 Especially the piles of shoes in all sizes, knowing that every pair represent a person. 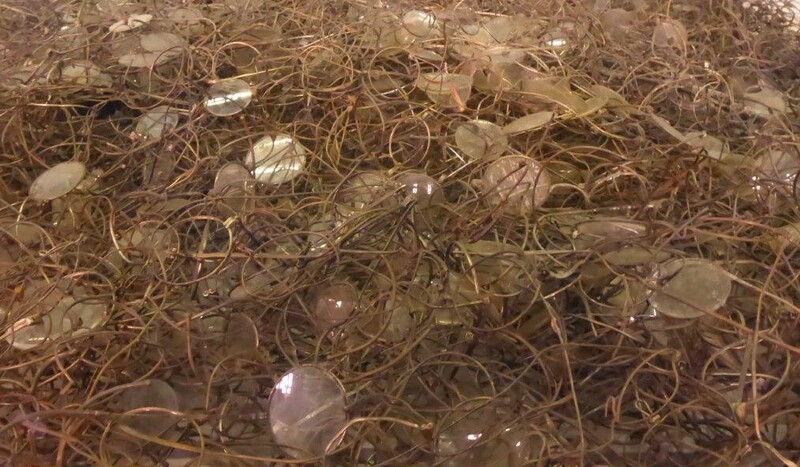 And this is just a small part of the ones they collected. Suitcases, glasses and tons of hair are also displayed. Much of the victims’ hair was also used to make clothing. Countless prisoners were also undergoing medical experiments, and Dr. Joseph Mengele especially used twins for this matter. The Death Wall between block 10 and 11 was the scene where thousands of prisoners were executed, by either shooting or hanging. 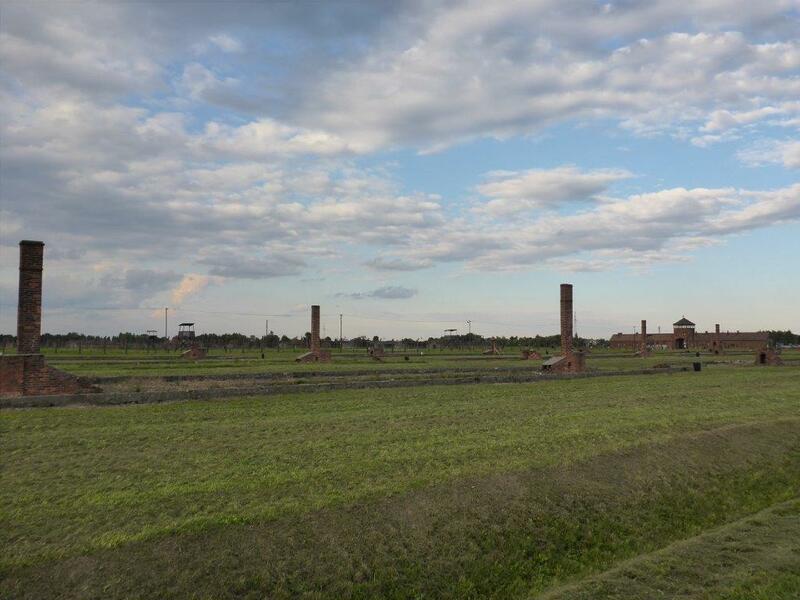 Aschwitz II – Birkenau is situated 3 km from the main camp. 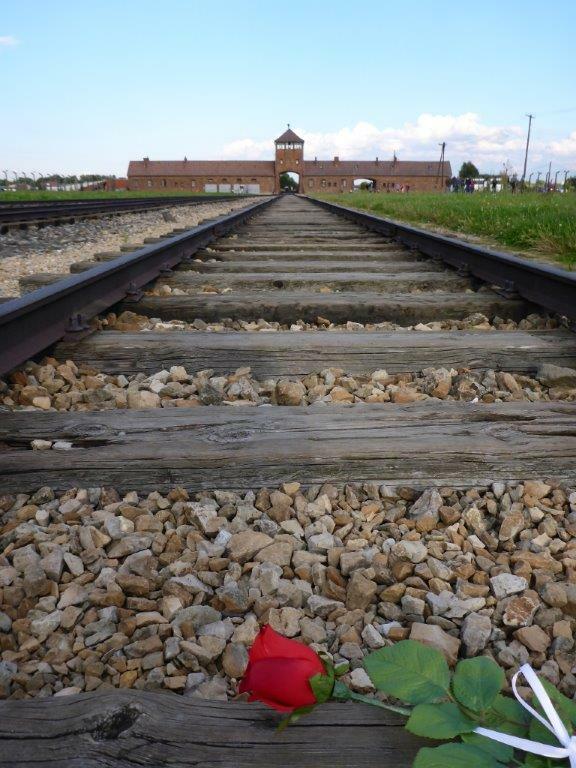 Coming through the gate, the first thing you notice is the railroad tracks leading directly to the center of the camp. After getting the background information from the main camp, you can vision the hordes of people at the unloading ramp, waiting for their fate to be determined. The large area once contained over 300 buildings. Of these, 45 made of brick and 22 wooden have survived almost intact. The outlines of the previous other houses are clearly visible. At the end of the unloading ramp, there are remains of two crematoria and gas chambers. When SS had to retreat, they tried to blow up many of the buildings to conceal their criminal actions. One of the things that I remember best from my last visit is the barrack for the children. The drawings on the walls made it all a little bit more alive, and made such a big impression on me. You should allow at least half a day for the visit, preferably even more, as time runs quicker than expected. The sun was setting for an emotional day at the concentration camps. There are several bus companies leaving from Krakow. We bought a one way ticket from the bus/train station by the local bus company PKSiS. The price was 14 PLN per person. This was a local bus stopping quite a few places along the way, letting off and picking up new passengers. 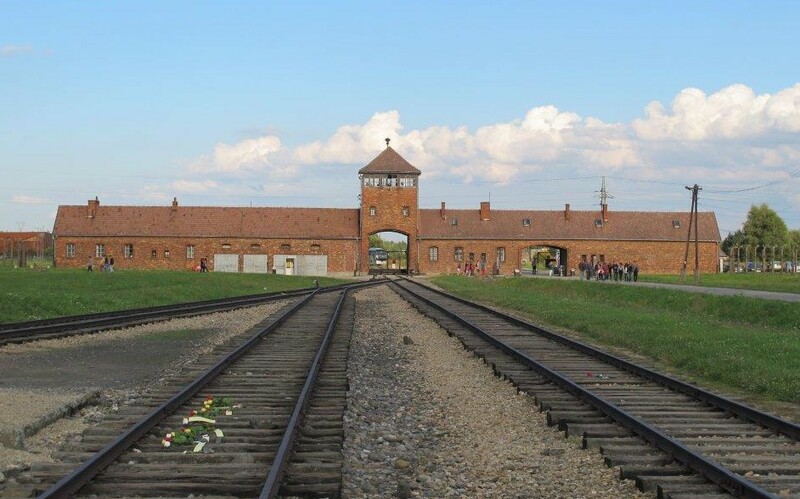 There is a free shuttle bus running between Auschwitz and Birkenau. When returning to Krakow, we used another bus company, Lajkonik Bus. 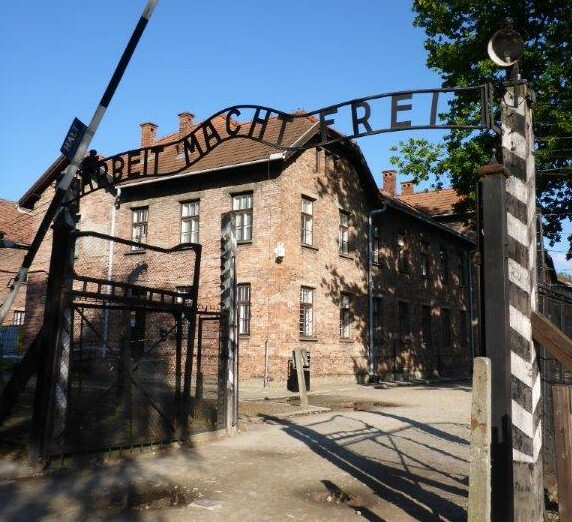 It started from the parking lot just across the street from the main building at Auschwitz. The standard was much better, it did not stop that many times along the way, and the price was even better, so I would absolutely choose this company instead. At least on the way back. I would still consider the other bus one way, to get the local experience.